Speed Reading Technique 10 – Take your awareness to your concentration point - Learn to speed read in 2 day course with the top Speed Reading experts in the UK. 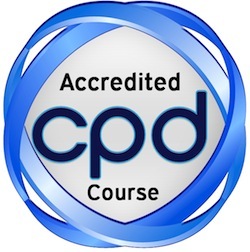 Speed Reading courses in London, UK. Speed Reading strategies to increase reading speed, comprehension and memory. In-house speed reading courses in the UK. Close your eyes. Take your attention to (ie simply become aware of) a point about 15 cms above and slightly behind the top of your head. Even with your eyes closed, feel your eyes softening as your peripheral vision opens. Pause and plan what you are going to do once you start your reading session. Take a deep breath in, smile and open your eyes as you exhale. Start reading. You do not need to keep concentrating on the point as you read. If you find your concentration wandering after a time, take a short break to move and breathe and then re-focus on the concentration point before you start reading again. Touch the top of your head and move your hand back and up to the concentration point. Move your attention to the point, and keep it there when you remove your hand. Relax and focus on your left foot; then take your attention to your right knee; then to your left hip, right palm, left elbow, right shoulder – and then to the concentration point above and behind your head. Focusing on the concentration point automatically opens your peripheral vision (speed reading technique number 9). Do it before you start driving (you’re much more aware of other road users), when you’re walking at night (it’s easier to avoid trouble), just before you start an exam paper (you get into a good state for remembering information) – or whenever you feel you would benefit from greater powers of (effortless) concentration. How do we know about this point? First think about this question: What do the following have in common? Answer? 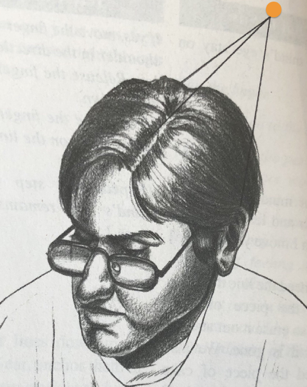 All (originally) knew the importance of focusing on a point above and behind the crown of the head in order to enhance their ability to concentrate and be fully aware. This point has been well known for many years. It is depicted as a halo in many pictures of Christian saints, yogis know it as the 8th chakra (which gives access to universal wisdom), and witches and wizards wore a hat which reminded them to focus on this point in order to enhance their magic powers. 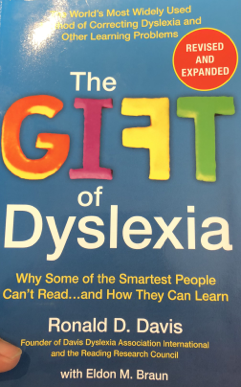 More recently, when Ron Davis was working with children diagnosed as dyslexic, he discovered that asking the children to concentrate on this point was enough to allow many of them to start reading (see his book ‘The Gift of Dyslexia’). When Paul Scheele was developing his PhotoReading system, he thought that concentrating on this point might also help everyone read better. And it does make a difference for most people. Posted in #1 Blog On Speed Reading & PhotoReading, Summaries of Books, Good Books to Speed-Read, News, Research On Speed Reading, speed reading techniques.